I also used Beate's Weekend Sketch Challenge as my inspiration - So this is for Beate's Weekend Sketch Challenge #64 - This is also a sketch from page 134 in the SU catalog! Today, I am sleep deprived from staying up too late stamping and scrapbooking. I am having a wonderful time! I *think* everyone else is too! Accessories: BLING, Nestibilities, Paper Snips, Dimensionals, Scallop Edge Punch, Copics, Pumpkin embellishments from my scrapbooking stash. You may not be able to see it, but the wings are popped up with dimensionals...Also, the stars on the DP are FELT!!! 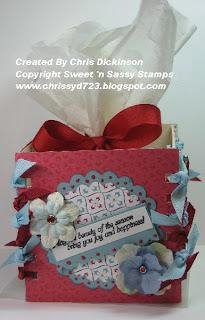 DO not forget about the BLOG HOP - the next stop is the Sweet 'n Sassy Stamps Blog (chance to win and see the NEW sets!) Also, you will want to click on the link for the BLOGGERS CHALLENGE participants and see all of their wonderful work! Well, I am in Lansing, Iowa far away from home on a Scrapbook Retreat. The BLOG HOP is still happening. Have you looked at everyone's Blogs? Today is Korin & Janette's day and they have some FABULOUS projects on their blogs! 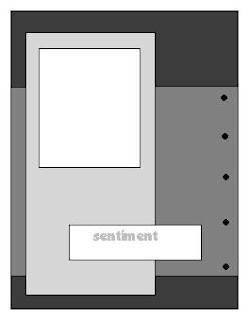 I just purchased the new Cricut Expressions and the font I used is the new Plantin Schoolbook Font. I love it. Accessories: Paper Trimmer, Paper Snips, Xyron, Nestibilities, Word Window punch, BLING! 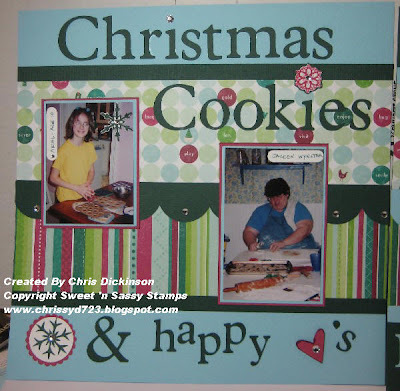 The words say... Christmas Cookies and Happy hearts - this is how the season starts! What do ya think? Thank you for stopping by! Have a fabulous day! This weeks, Belli Challenge is to use anything with a THANKSGIVING theme! Turkeys, pumpkins, foodwise, decorations...if it has to do with Thanksgiving - that is your theme!!! Here is what you need to do. 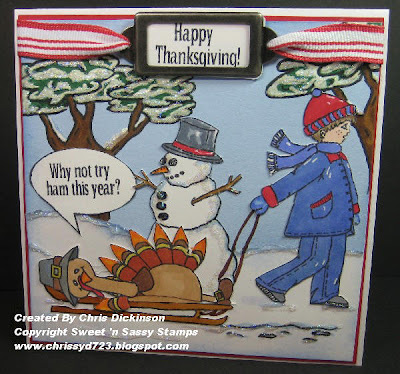 Make a completed project embellishing your work with your Thanksgiving themes. Share the link here in the comments linking to my Blog and CBC40. When you post to Splitcoaststampers or to your Blog, be sure and put CBC40 as the KEYWORD and mention of the challenge - with a link! I will do a random drawing for all participants and have a special pack of assorted Designer Papers for the winner! 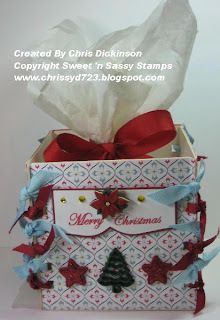 Last weeks winner is Liz Miller, you can see her FABULOUS creation HERE. With it being BLOG HOP week, I wanted to use some of the new stamp sets...but there was ONE problem! They are all a WINTER theme! So I had to improvise...what is the improvisation you ask? Well...see the sled on my card? On the stamp set, it has a little girl riding along on it....soooo I stamped the sled, and cut the girl off. Then stamped the turkey from Turkey Day and colored him, cut him in half and around all of the edges... then cut his little leg off to make him look like his body was facing UP! 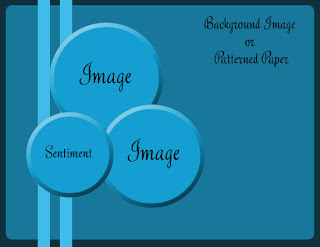 This is what I used for my project... I am REALLY LOVING the NEW Winter Fun stamp set! Be sure to check out the FABULOUS Belli Challenge Design Team's creations!!! Be sure to check out what everyone else has made and make a comment too for them please! We all LOVE comments. It is fun to see what ya'll think of the work we share! Do NOT forget about the BLOG HOP! Today we are going to HOP on over to Michele & Sandy 's Blog - you may even want to check out the other Design Team's Blogs because some of them may be participating every day! I am going on a Scrapbook weekend, AND I am taking my computer, so I can continue sharing projects AND be at the Release Party! Thank you for stopping by! Have a FABULOUS day! 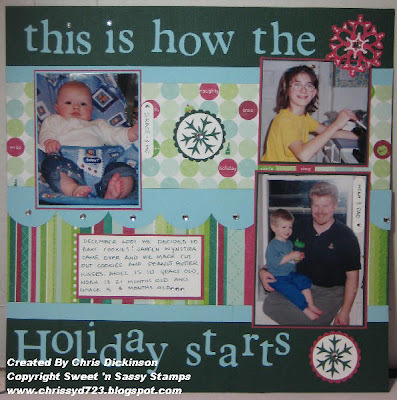 BLOG HOP DAY 2- Courtney's Challenge #11! Today is Created By Courtney's Challenge Day! This week is Sarah Anderson's Sketch! Courtney has challenges every Tuesday and starting next week, I will officially be a Challenge Chick Girl! Woohoo! Thank you for the opportunity! 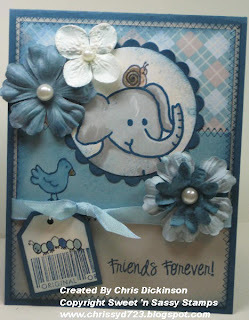 Be sure to HOP on over to 10/28: Jessica & Faith's Blog for more SNEAK PEEKS to the Sweet 'n Sassy stamps! Don't forget about the Release Party on October 31! Do not forget about the BELLI CHALLENGE on Wednesdays! It is NOT too late to participate this week! There is also a Blinkie on the right - I can shrink it down a bit for your blog if you wish! LMK! It is Monday again! This one will be a fun way to start the week, though! Today starts the BLOG HOP! 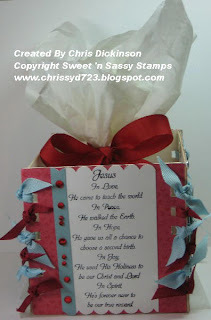 If you are here first - be sure to go to the Sweet 'n Sassy's Blogfor another Sneak Peeks! Christi was scheduled to participate but had something happen to her computer so she is not particpating today. 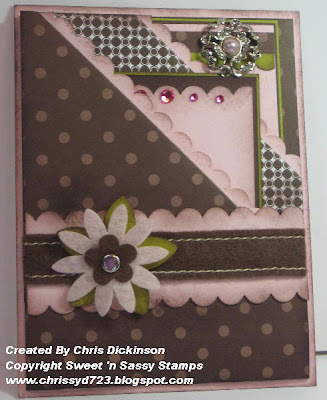 This particular card, I used Beate's Weekend Sketch Challenge with. 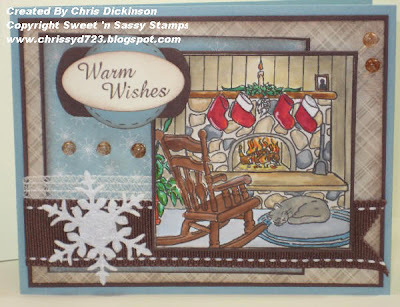 The stamp comes from one of my personal designs titled "WINTER AT HOME." I am so thrilled with out it turned out and hope you will love it too! This particular card, I colored with Copics, but I will be showing another card later this week that has NO coloring with this stamp set. Thank you so much for stopping by! 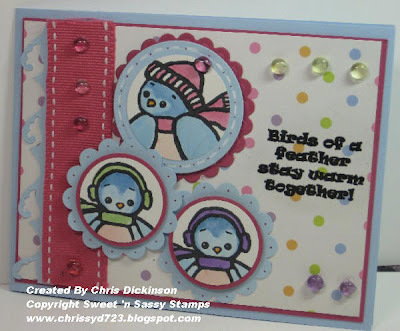 Do not forget to *HOP* on over to the Sweet 'n Sassy Stamps Blog - also tomorrow, stop back here for another Sneak Peek AND then HOP on to Jessica & Faith's blogs. The rest of the week's schedule is on the LEFT side of the screen! Monday, October 27th is my daughter Sarah's 4th birthday! 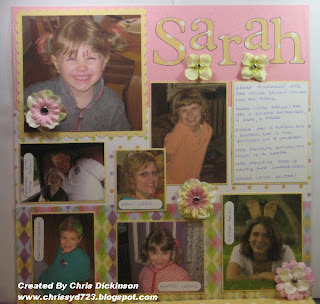 For her pre-school they requested a BIO BOARD for each student. My picture here came out a little dark here - sorry for the poor quality! My Sarah is a ham, in case you can not see! The poster says her favorite color is YELLOW, ohhh and PINK and don't forget purple and green! :) She also LOVES frogs. Her favorite food is Candy and Cheese curls. She has 2 dogs, 2 cats and 2 frogs and 1 fish. Tomorrow is the BLOG HOP so be sure to stop here first thing in the morning to see a SNEAK PEEK at one of our newest stamp sets! I hope you all have a great weekend! Thank you for stopping by! This week's Challenge was to make something you would give as a gift. Immediately, I thought of this cube with COASTERS. I had an idea to have a candle in the center of it...but when it came down to it, I didn't have any pillar candles that weren't half gone already. You see...I am a burner. I burn my candles, especially in the fall and winter months! Thank you for stopping by! 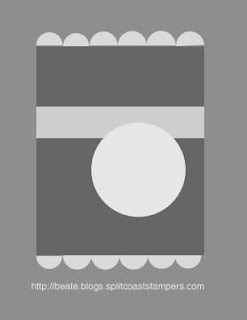 Click on the Bloggers Challenge Icon to see the other creations! I always LOVE seeing them! They give me so much inspiration! Ok - I know a MOTHER should say her children are cute. LOL But I really think they are PRECIOUS. Last night was CRAZY HAIR NIGHT at AWANA for my middle gremlins and my youngest had to get into the action too. She goes to Cubbies too and was SOOOO excited to have Pink and Green Hair color on her pony tails. For Grace, I braided her hair and sprayed one with green and one with pink. What do you think of my new signature? My friend Sarah made it for me! I LOVE IT! 2. Have you ever smoked? not really - but I didn't inhale. So that doesn't count, right? 3. Do you own a gun? hubby does - it is an antique that they do not make shells for any longer. 5. Do you get nervous before doctor appointments? Am I taking my children with me? They stress me out sometimes. 6. What do you think of hot dogs? Ehhh- they are all right, I wouldn't CHOOSE to eat them. 7. Favorite Christmas movie? Santa Clause with Tim Allen we watch this every Christmas with our children. 8. Favorite thing to drink in the morning COFFEE! I LOVE COFFEE! 10. Do you wear a lot of jewelry? No, only earrings, wedding ring and a necklace. 12. Do you have A.D.D.? honestly - I think so! 13. What's one trait you hate about yourself? I am needing to slow down for sanity's sake as I get older. 15. Name 3 thoughts at this exact moment: I should be going to bed soon, I can't wait to read my book, I am glad the children are in bed, I love quiet! 17. Current worry? Taxes- yuck! 19. Favorite place to be? Home in my stamp room or snuggling with my gremlins. 20. How did you bring in the new year? We had friends over to play games. 23. Do you own slippers? yes! I am wearing them now. 29. What songs do you sing in the shower? Praise songs, but normally that is my prayer time for whatever given friend needs it during that season. 36. Do you love where you live? No, but I am thankful for it! 38. Who is your loudest friend? Well, she has the loudest most infectious laugh and I LOVE HER - Andrea!!!! If you decide to fill this out - let me know! Now onto other news...as far as my weight loss journey - I am down 9.5 pounds! WOOHOO! I need to step up my activity a bit. I have been doing great on portion control, not eating junk food and really watching what I am eating. Activity has been 3 -4 days a week but I know I need to bump up the intensity AND the frequency. 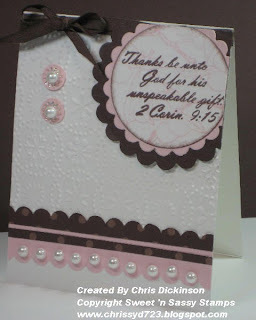 This Weeks Belli Challenge is to use PEARLS...You can Pearl Brads, Pearl Paint, Pearls from the Pretties Kits, Pearl Clips, Pearl Stick ons, ANYTHING PEARLY you can USE IT! Create ANY kind of project using something with a pearl! Here is what you need to do. 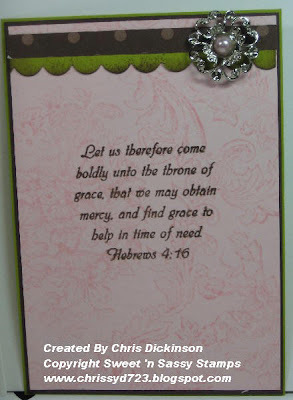 Make a completed project embellishing your work with your PEARLS. Share the link here in the comments linking to my Blog and CBC39. When you post to Splitcoaststampers or to your Blog, be sure and put CBC39 as the KEYWORD and mention of the challenge - with a link! I will do a random drawing for all participants and have a special pack of assorted Designer Papers for the winner! Last weeks winner is Anna Banana, you can see her FABULOUS creation HERE. Ok here is post #2 for the day! Today, Shelly popped over so we could take care of some other things and she so graciously offered to help me. I pulled out the vinyl I purchased at Hobby Lobby, grabbed my Cricut - used the Base Camp, Jasmine and the Accent Essentials Fonts and cut the vinyl out for my wall. This is in the front hallway in our home. When you walk in the front door - there is a coat rack and the stair case leading to upstairs. There is an old fashioned radiator underneath this space. I hope you have a great night! Thank you for stopping by! Today has been such a busy day and I am LATE in sharing this! I actually have three posts to share with you this evening. This is the FIRST of the three! As you can see, I have this FABULOUS new BLOG BANNER AND BLINKIE for my BELLI CHALLENGES. If you would be interested in posting this BLINKIE on your BLOG - let me know and I will send you the HTML code! :) I would be so honored and would LOVE it if you put this on your blog. Beth- from Freckled and Fun did an amazing job with this and I am THRILLED beyond belief on how it turned out. 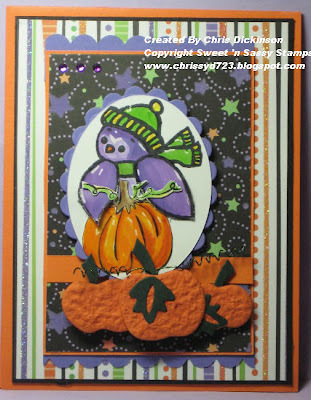 Now for my project.... as you know today is Courtney's Tuesday Challenges and I used Splitcoast Stampers Color Challenges... Pink Chocolate Kisses - Pirhouette Pink, Chocolate Chip and Kiwi Kiss are the colors here. Now...when you have an opportunity...be sure to check out Courtney's Challenge Chicks projects - I am going to finish posting then I am on my way over to look too! Thank you for your comments and for stopping by! Have a fabulous day! 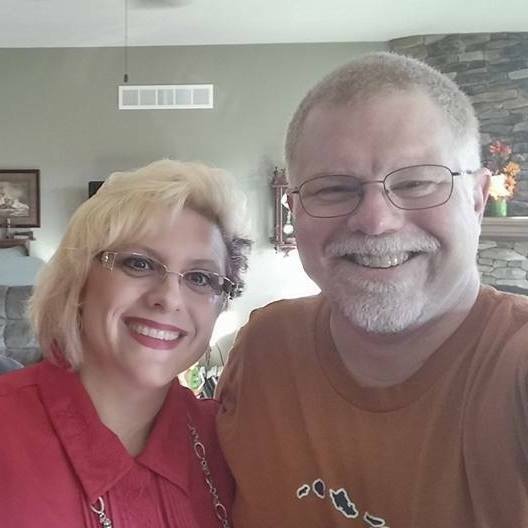 10/31: Kathy & Chris , then you'll end again on the SNSS blog for some awesome BLOG CANDY!!!! I will have BLOG CANDY (posted today) AND I will be posting SNEAK PEEKS every day! The Release Party will be October 31 and the Design Team will have some FABULOUS Challenges and prizes too! If you have any questions, let one me know. See you here! This year as part of our schooling process, we have been reading a funny book called FLAT STANLEY by Jeff Brown. The book is about a young boy named Stanley who is accidently squished "as flat as a pancake" when a bulletin board falls on him. Stanley is very, very flat, but otherwise fine. The story goes on to tell how Stanley discovers some real advantages to being flat. He slide under doors, go down into sidewalk grates and even fold himself up small enough to fit into an envelope and be mailed to California for an exciting vacation. Normally, people send out paper dolls that we call FLAT STANLEY to visit cities all over America and the WORLD. 1. Tell us what exciting things FLAT STANLEY saw or did while he was visiting you. 2. Tell us what city, State and Country FLAT STANLEY went to, so we can calculate the number miles FLAT STANLEY travelled in cyber space! 3. 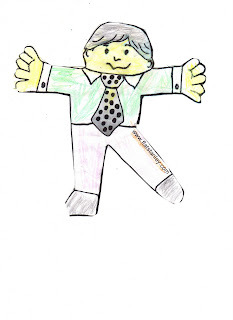 Please dress FLAT STANLEY to reflect the season you are in, or an activity that he did or other clothing that would tell us more about where you live. 4. Please e-mail me any photographs that you may take of FLAT STANLEY doing the activities you and your family does. The project for Noah is completed on November 6. I may do this again after Christmas just to give my children a bit more geography and other skills. Thank you for considering this project! Scroll down for more projects - this will remain towards the top for a few days! I came home last night to a BIG BOX of goodies that I ordered, plus some DT things. The Design Team things were NEW stamps that will be released November 1. Can I explain to you how HARD it was not to create a project to share with those today? AHHHHHHH ---almost impossible, but I resisted the temptation. I will be making a card with those stamps today, but will share EVERY DAY next week! Our Blog HOP starts on Monday, October 27. Today, I am tired of coloring my pointsettias burgundy, pink, red, etc. 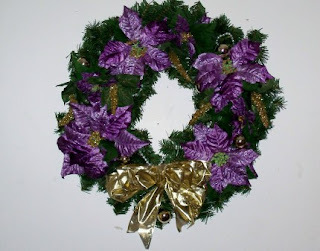 So I decided to go with a PURPLE POINTSETTIA. That image below was my inspiration. 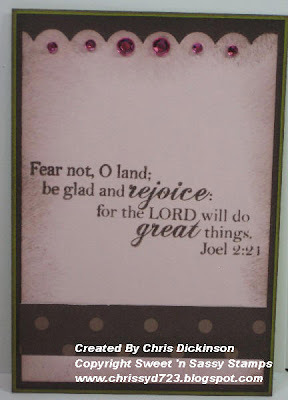 This was some designer paper that was NEW and available at Sweet 'n Sassy Stamps - called EVA from Basic Grey. It is soooo pretty! I love it! This is my beautiful daughter who is 17 years old. She had a formal tonight (Friday, October 17). She is bubbly and full of energy. This is my beautiful 7 yo daughter. She loves to play My Little Pony, Polly Pockets and is my little stamper buddy! She loves all things ART. See this little fire cracker? She will be 4 years old next Monday. She is full of energy, loves to do whatever her older brother or sister is doing. She loves to snuggle with me and hang on me - LOL She enjoys arts and crafts too. I hope you enjoyed seeing my beautiful family. I am very blessed. Although there are those moments I do not appreciate them like I should. Have a blessed weekend! 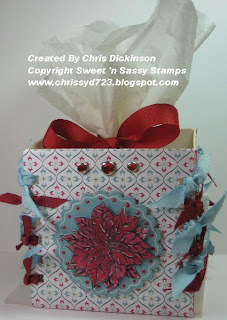 Stay tuned on Sunday for my Sisterhood of Blogging Stampers Challenge! 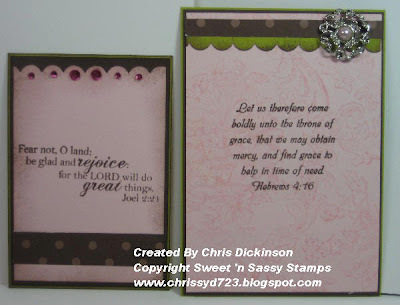 SWEET 'n SASSY STAMPS - ROUND UP! COMBO OF CHALLENGES AND THE PROMISED TUTORIAL! STAMPERS CAN MAKE A DIFFERENCE! My Little Chickadee - Faith's Challenge! WORLD CARD MAKING DAY IS HERE!